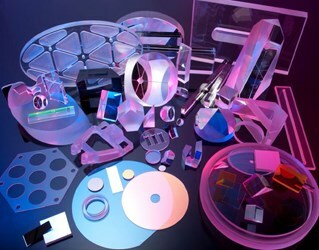 Most of the optical materials used for components that operate in the visible range – glasses and coating materials – are also transparent in the SWIR range. Therefore, in the SWIR spectral range, optical components can be made of the same materials with the same technologies as conventional, low-cost components used in the visible range. However, to obtain the very best optical quality and imaging performance, SWIR optical components must be specially designed. This application note provides information on the benefits of SWIR imaging in harsh or low-light level conditions, and PG&O's capabilities in manufacturing optical components for SWIR imaging.